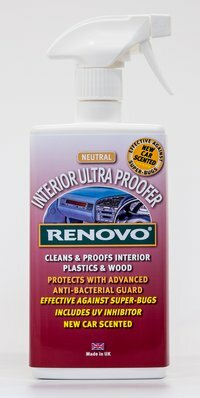 Cleaning and waterproofing the interior plastic and wood surfaces in your car can do a lot to improve the overall look of the interior of the vehicle car. Dirty, grubby fascias will make any vehicle look old and tired. We look at the dashboard more than any other area of our car´s interior so it makes sense then, that we should give it some special attention. and contains a UV inhibitor.